It is time for Toyota to regain the legacy of the Land Cruiser in North America – Now! The 200 Series Land Cruiser has been a complete sales failure in the US and in most of the world. It’s a bloated, bland shadow of the greatness the Toyota Land Cruiser line represents. In 2011 Toyota only sold 1,662 (link) units in the US, by comparison, nearly ten times that many 100 series units were sold in the year 2000. 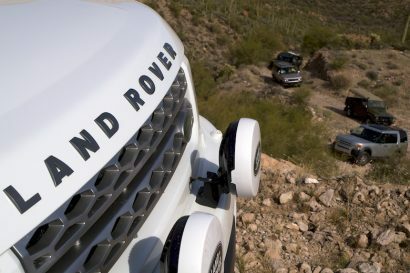 Land Rover sold 9,761 Range Rovers in 2011, 487% more than the 200. These results are not because the 200 is a bad car, it’s because the 200 is not a Land Cruiser- at least not in the ways that are important. Why should we care? Well, the Land Cruiser is one of (if not THE) greatest legacies in all of 4wd. It’s models have spanned 60 years and nearly 5,000,000 total units, being distributed in 146 countries. I am personally vested in the Land Cruiser, having owned an FJ40, FJ60 and currently own an FZJ80 (link). 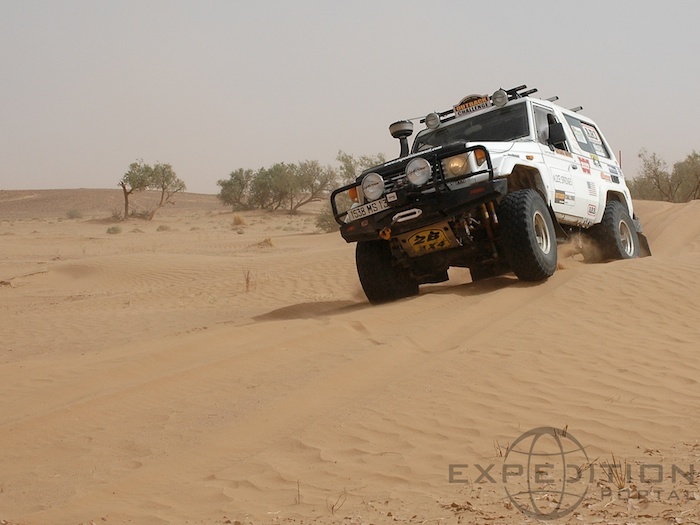 I have crossed continents in Land Cruisers and have raced and won the Outback Challenge in a 70 Series. The Land Cruiser is an important model for vehicle-based exploration, perched on the top of the hill for decades. 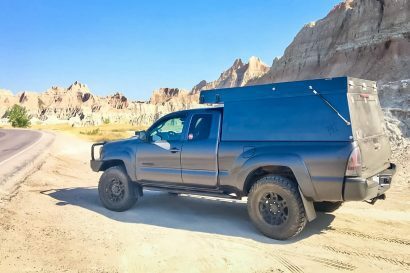 On ExPo, we have recommended the 100 series as the best used overland vehicle choice in North America (link). 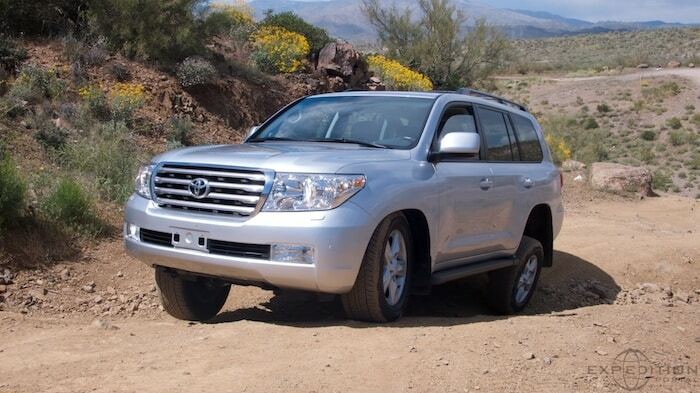 A Land Cruiser represents freedom to the buyer, along with a legacy of world-class reliability. Land Cruisers are classic and authentic, and have always placed an emphasis on durability and capability over luxury and domestic ‘functionality’. The current 200 has lost that spirit, a spirit which has always been present in it’s bloodline. The 200 is rounded and soft, wide and low, its interior filled with plastic and leather, it’s become a huge appliance that has lost its soul. This is the Expedition Portal staff Land Cruiser. This truck has 230,000 miles and just returned from a year long trek through Central America. We need a Land Cruiser like this again, but factory new. Despite my criticism the 200 is actually a well built and thoroughly modern vehicle, but why would someone buy it? Isn’t that the point of making a car, to build something that customers love and are willing to drop serious cash on? At $70,000, it lacks the critical delivery of either exceptional design and luxury or exceptional performance. $70,000 is a lot of money and those customers are very discerning – they want to be inspired by the vehicle they drive. The design of the 200 is lifeless and benign, something that sells poorly into this intended demographic (this is not a commuter car). The performance is adequate, but uninspiring with the 5.7L V8 being the only attribute of note. On the trail the mammoth proportions and limited clearance will make anything more than an unimproved road a potentially costly exercise. The traction control system and KDSS are brilliant, but they can write checks the rest of the trucks simply cannot cash. I also say this with months of time behind the wheel of the 200. I even crossed Australia in one, however it was fortunately modified for additional clearance, but remained – blah. I’ve toured the plant where these Land Cruisers are built and watched in amazement the level of attention, care and consideration each unit is constructed with. No doubt a 200 will last as long as you cared to drive it. But while I was standing in that factory outside of Toyota City in Japan, it became clear that Toyota is bringing the wrong truck to our shores. Between the few 200 series units that I saw rolling out of the factory, many more of another type of Land Cruiser were being built. A vehicle so loved that even the most impassioned Land Rover owner will get a glimmer in the corner of their eye. They were building 70 series wagons and pickups, and by the lot full. It seemed they could hardly keep up with the demand. There were 76 series wagons rolling off the line in abundance, with the occasional 200 in the mix. Toyota needs to, actually, Toyota MUST bring the 76 (link) to North America. It has been said that historically, Toyota always opened a new market in the world with the Land Cruiser. After Toyota established their reputation of quality and reliability, the other models followed. Toyota needs to inspire the US consumer of what is possible with their vehicles, just like Dodge uses the Viper SRT-10 to sell a more economical Avenger. This is the Land Cruiser North America needs. The critics say it will not sell – bull. 120,000 Jeep Wranglers in 2011 prove them wrong. 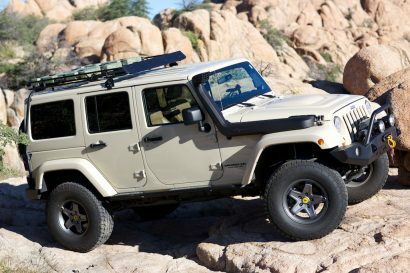 If you think the 70 series won’t sell, look at the new Jeep Wrangler. Being in the media, manufacturers used to tell me that consumers don’t buy solid axle, body on frame vehicles with lockers and big tires – that was bull – a line of executive bunk. People do buy serious 4wds. In fact, Jeep cannot make enough of the 4-door Wranglers, their massive frames and solid axles are rolling off the line to a rate of 120,000 units per year. Many car buyers demand style and performance, and they’re also willing to pay for it. Toyota should import and certify the 70 series even with the 4Runner V6 engine if necessary – but I’d much prefer the turbo-diesel V8 (you can buy an Audi Q7 with a brilliant diesel). I’d be willing to put down serious money that Toyota would sell 15,000-20,000 units within the first year. When I bought my wife a new SUV we looked at the 200 series and she said it looked like a shoe. We ended up purchasing a Range Rover instead. If a Land Cruiser 76 GLX was available I would have paid every dollar asked for it, happily. The Land Cruiser is an important vehicle and not just to the adventurous types who generally drive them, but to Toyota as a whole. It’s their legacy. They need to reconnect with what it means to be the best and that starts with the Land Cruiser. We won the Outback Challenge in a 73 Land Cruiser (navigator Nathan Hindman). One one note, have you reached out to Toyota Motor Sales US? I would not want the EPA to get their hands on the venerable 1VD engine and turn a bulletproof engine a pile of unreliable garbage (like most new diesels). So they would probably have to source the 4.6 Liter V8, which is a very reliable engine, and apply it to the chassis. Whatever the case, I believe it deserves another shout to the ear of Toyota motors sales! You’re not alone in your thoughts. But a reasonable price would have to be part of the package. Just look at sales of used old model Toyota’s on eBay. The writing is on the wall but so far it has fallen on deaf Toyota executive ears. While I understand your comments, as an previous owner of a 60 series, now an owner of an 80 & 200 series, road travel in the US is never easier than in the 200 series…. My LC 80 series has the 6EFI which lacks the power for 70-80mph on TX roads… the price is a little sting, but soon forgotten when you are cruising at 80….